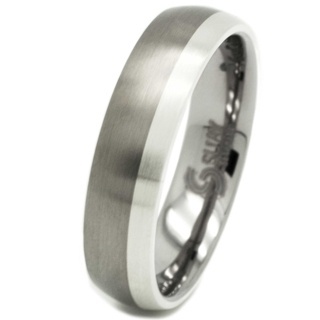 Eye catching dome profile titanium ring with two silver inlays running through the centre. 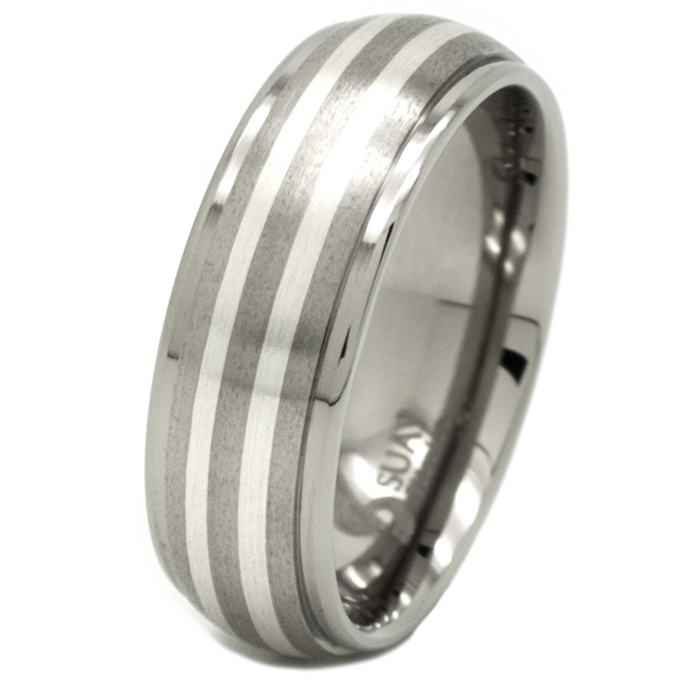 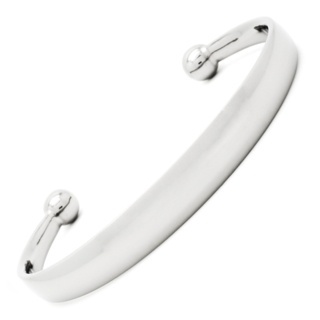 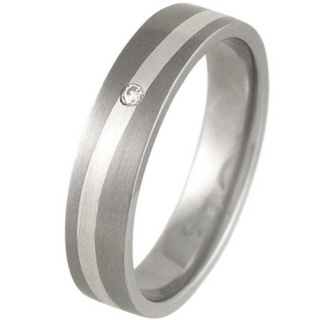 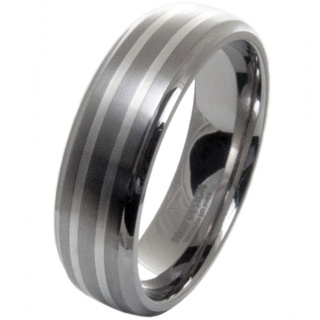 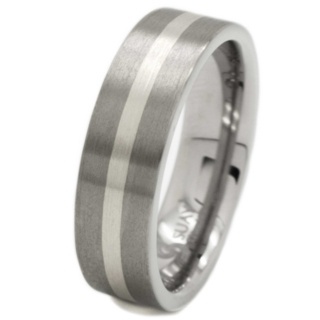 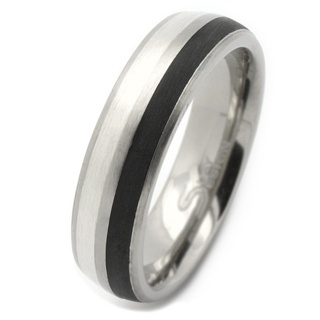 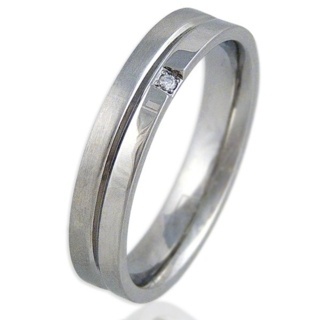 With highly polished shoulders and a satin centre this handsome ring is ideal for your special occasion. 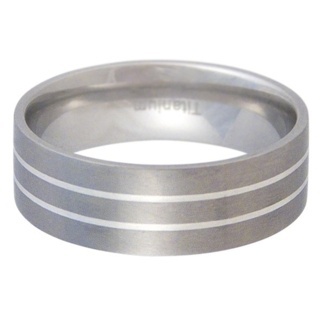 Width 8mm.